Uh oh! Found blood on your carpet? Now what? How do you get it out? First, stop the bleeding! Call 911 if it is a life threatening emergency. Head to a nearby InstaCare if it needs stitches. Put on a bandage if your child just picked off a scab (and then kiss it better…). Whatever the source, fix the leak first. Whew! Now that you handled the important stuff, it is time to consider the carpet. A carpet blood stain is one of those unfortunate marks that is hard to remove. If you catch it while still fresh, the chances of removal are much higher. There are many different types of carpet fibers and there are also many different home remedy ways to remove blood stains from these fibers. Some solutions will work for various types of carpet fibers. The following are some of the most effective remedies for removing blood stains from carpet. Some of these may damage your carpet so be sure to test them out on a small “hidden” area of your carpet before applying them to a spot out in the open. (Everyone knows this but most people ignore this precaution—be warned). If you are too wary of applying these home remedies to your beautiful carpet, please call the professionals at Love Cleaning and we will send out one of our professionally trained carpet technicians to remove the stain. When it comes to dealing with blood stains in carpet be sure to take baby steps first. This is the simplest method to try yet it only works on fresh stains before the blood has a chance to coagulate. Put cold water on the blood stain. If the stain in large, start dabbing at the stain edges and work your way toward the middle. Keep rubbing the stain with a clean rag (absorbent cotton works best) until the stain disappears. Be patient, work slowly, rotate your rag. If you get to the stain quickly this will work. For the next method, mix a three tablespoons of liquid dishwashing detergent with two cups of COLD water. Thoroughly brush this mixture onto the blood stain and take a coffee break or a cocoa break of 5 to 10 minutes. For older stains, let the mixture sit even longer. Dab the spot with a clean, absorbent cloth until all of the blood is absorbed into the cleaning cloth. Now, using a new cleaning cloth, dab the spot with cold water until all the soap residue is removed. If the Cold Water and the Dish Detergent Remedies failed to remove the stain, it is time to up the ante. Try the Ammonia Remedy next. This method is the same as the Dish Detergent Method but you are now using a stronger solution—ammonia. Whoa, be sure not to inhale those powerful fumes…. Keep putting the ammonia mixture (mix three tablespoons of ammonia with two cups COLD water) on the stain until it is removed. Then be sure to rinse the spot clean with plain water. This method could bleach your carpet, so TEST a hidden spot first or just call our professionals to come remove the stain. If you are still adamant on doing it yourself, put hydrogen peroxide directly on the stain (after testing a hidden spot first to see if it bleaches your carpet fibers). Then place one or two paper towels on the wet spot and put a heavy item on top of the paper towels. The stain should seep into the paper towels and lift out of your carpet. Be advised again that this could slightly bleach your carpet. I did warn you to do a test first. If you failed to heed this warning and the spot became discolored as a result, try immediately cleaning the spot again with a solution of one-part vinegar and one-part water. Perform the same blot and dry actions until the stain is gone. The last remedy to suggest is the Salt Paste Remedy. Mix salt and water together until if forms a thin paste. Thoroughly rub the paste into the stain with a towel. Let the paste sit for at least 15 minutes, or longer, to give the blood a chance to be soaked up by the mixture. Blot the stain and continue blotting until the stain is gone. Then vacuum the spot to remove the dried salt residue. Each of the above remedies have a few common steps. Most of them will need water. As indicated, be sure to use COLD water only. Don’t use hot water because the hot water will cause the stain to settle into the carpet fibers faster. 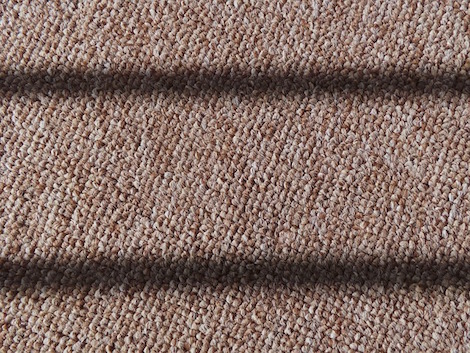 Note that you are to rub or dab the carpet fibers. Never push down hard on the carpet to avoid pushing the stain further into the carpet. Finally, once the spot is dry be sure to vacuum the area to help restore the carpet back to normal. And again, if in doubt about any blood stain removal issues, please contact us at Love Cleaning and our professional carpet cleaners will assist you. Love Cleaning uses truck-mounted cleaning systems and professional grade supplies to clean, sanitize and remove stains. Contact Love Cleaning today at (801) 936-0586 to learn more about removing tough stains from your carpet or upholstery.